Expansion pin anchors are medium or heavy duty anchoring for concrete & block. The expansion pin anchor body is made of hot rolled steel with carbon steel pin; both are finished in zinc yellow. Our expansion pins come in sizes from 1/4 to 3/4 along with lengths from 1-1/4 to 6 inches long. 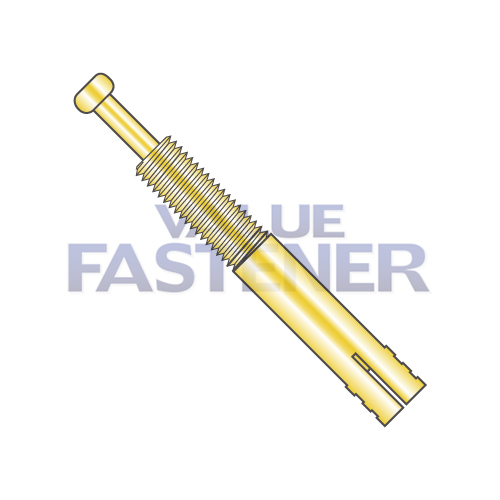 Value Fasteners is your supplier offering expansion pins with low prices, high quality and great value.